With its artificial lakes, tourists will be able to enjoy quiet holiday. This is also the place where the luxurious vegetation meets the “European Sahara”. You will be able to discover the charm of a small town, thousands of species of flowers that are usually present in home gardens, two rivers and seven artificial lakes as well as the city is often called the “Venice of Vojvodina“… Bela Crkva, located in the south of Banat, has a diversity of natural landscapes that will delight visitors. In this small town, time seems to stand still: we particularly notice it thanks to old baroque facades, beautiful parks and quiet streets that gives the impression that you are back in the 18th or 19th century. Nothing disturbs the tranquility in this city. Even the air is clean, because in Bela Crkva, there is no industrial zone and the wind comes from the Romanian Carpathians Mountains that are nearby and bring freshness. 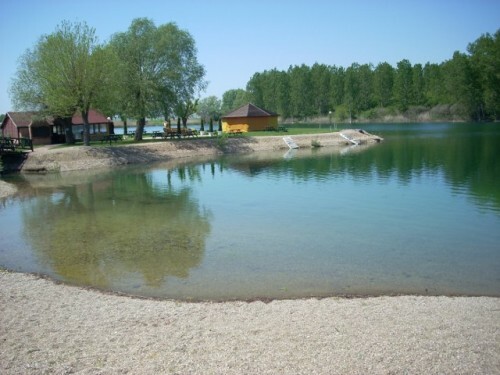 The biggest attraction of Bela Crkva is, undoubtedly, artificial lakes that were created after decades of gravel excavation in the fields between Bela Crkva and the villages of Vračev Gaj. The remains of the Pannonian Sea and groundwater immediately fill these holes and this resulted in seven oases of water. When the season is in full swing, more than 10,000 tourists visit the place. Tourists come from all over Serbia and Europe. They come mainly with their families and especially with their children because the water is warm and shallow. Similarly, the pebble beaches are well furnished, especially on the main lake of Vračev Gaj (which is the only swimming beach) which is a great place to escape the bustle of the city. Because of the growing interest of tourists in recent years, in the woods located near the main lake, some forty private villas were built and make available apartments for tourists. These apartments are furnished and luxurious. Many of them offer absolute privacy thanks to their private beaches. The prices of the apartments vary between 30 and 60 euros for the day, and for those who have less money, Bela Crkva offers accommodation in caravans and bungalows near the Lake of Vračev Gaj. Since this year, rescue services have been deployed near the lakes, including an ambulance service and lifeguards who patrol on motorcycles all along the coast. You just need a small suitcase to visit this “earthly paradise” and the nature of Bela Crkva will fascinate you and will make you return in this place. Posted on May 19, 2015 by Allo-Balkans. This entry was posted in Serbia and tagged lake, tourism. Bookmark the permalink.